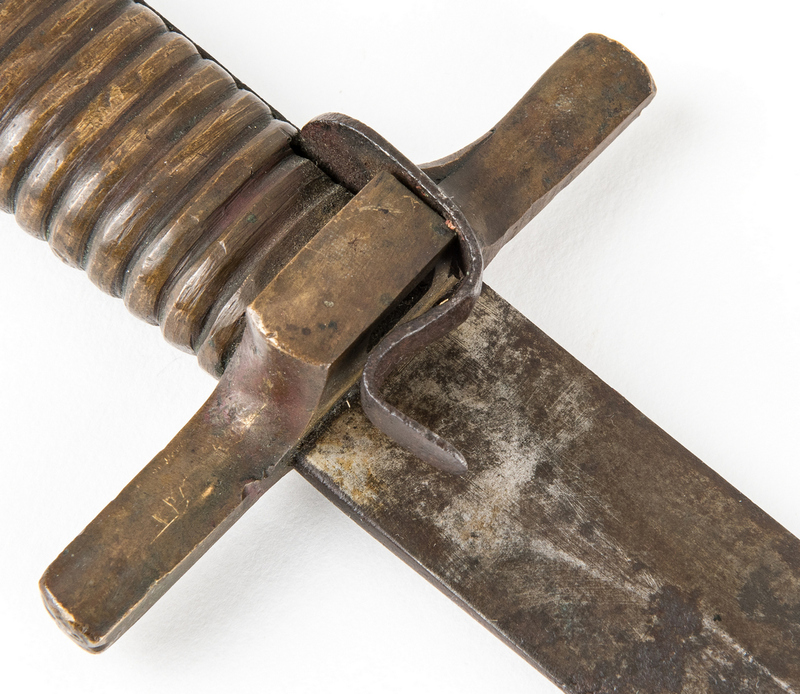 Confederate Cook and Brother Shotgun Saber Bayonet. 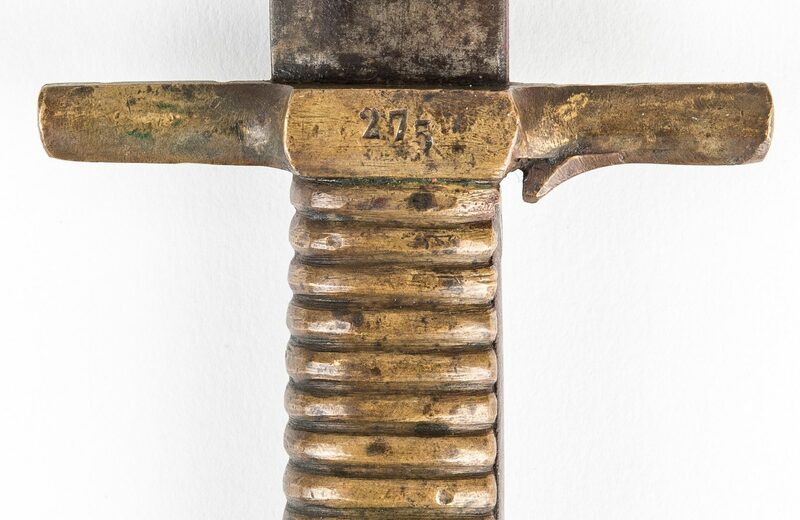 Brass grip with original latching device, brass cross guard marked "275", Roman style, double edged blade. Blade length – 20 3/4". Overall length – 25 1/8". Provenance: Estate of Jim Maconkey, Landrum, SC. 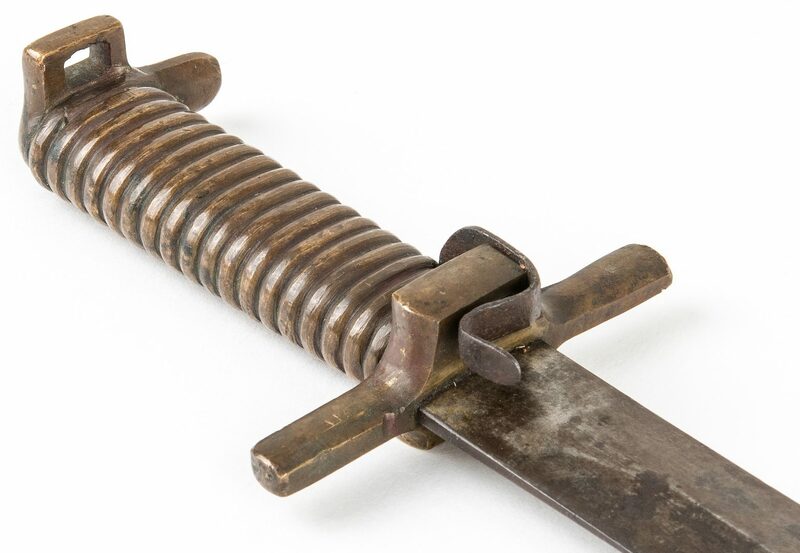 Note: References to these bayonets can be found in the book "Confederate and Southern Agent Marked Shotguns" by John W. Ashworth and Russ A. Pritchard, 2017. CONDITION: Overall good condition. The blade in very good condition with a few nicks and only one noted casting flaw. 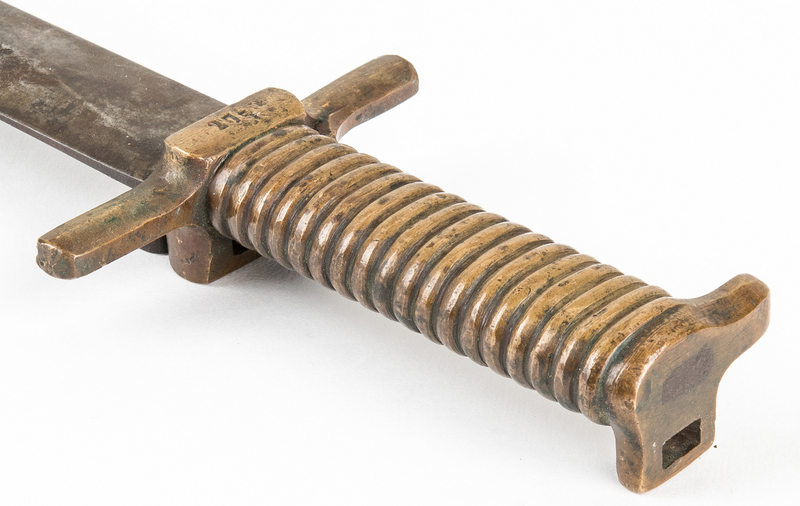 The grip has its original latching device.